Jackson was drafted by the Cleveland Indians in the 44th round of the 1991 draft. He did not play a full season until he joined the San Diego Padres in 1999 when he led all rookies in stolen bases. He sustained an injury in 2001, when he was hit by A. J. Burnett during Burnett's no-hit game. During the 2003 American League Division Series, Jackson collided with his Red Sox teammate, center fielder Johnny Damon, knocking Damon unconscious. 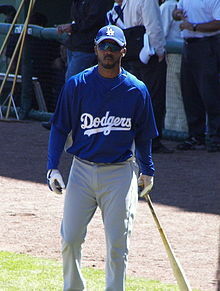 He was released by the Washington Nationals on August 25, 2006, and signed with the Los Angeles Dodgers, but was released from them on March 11, 2007. On April 14, 2008, Jackson signed with the Southern Maryland Blue Crabs of the independent Atlantic League. He was released on July 22 and was immediately signed by the Long Island Ducks, but was traded on August 2 to the Camden Riversharks. He later played for the Orange County Flyers of the independent Golden Baseball League.